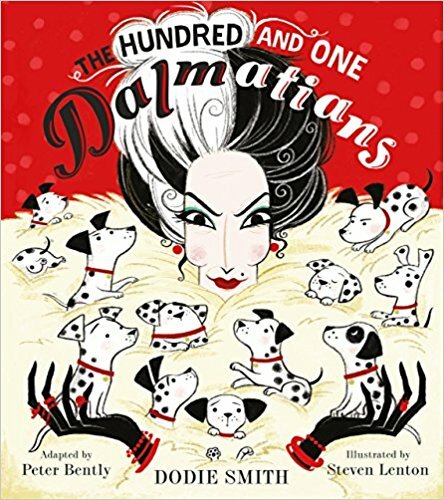 This classic tale about a hundred and one spotty dogs has been adapted for the first time ever as a picture book. Peter Bently’s fun adaptation of Dodie Smith’s original text will introduce the story to a new generation, with gorgeous artwork from bestselling illustrator, Steven Lenton. Fan’s of Dodie Smith’s original story and the Disney film adaptation will love this new take on an old favourite – the perfect Christmas gift and classic bedtime story to enjoy together. a visually-appealing edition for young children... yet it still bears a reasonable resemblance to the original book. a whole new generation is bound to be enchanted by the story. Bently and Lenton have succeeded in bringing this fantastic story to life for a new generation and we found this an absolute delight to read. this is a book that has toilet seats and weeing dogs and still can win over the most prudish....the young gifted this are sure to want to turn to these pages time and time again.